We hand-craft these "station" jewelry pieces with a beautiful sterling silver "krinkle" chain (14k gold and gold-filled chain is also available). Yes, you have options - different genuine cultured freshwater pearl colors: natural/white, black/peacock, and pink/peach (choose approx. 5x7 mm oval or approx. 6mm round pearls) and lot's of crystal colors. 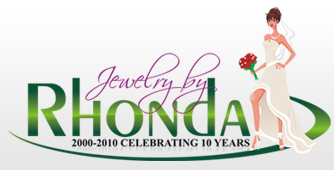 You can also have your jewelry pieces made with Swarovski™ crystal pearls. Station wedding jewelry can also be made for your flowergirl. 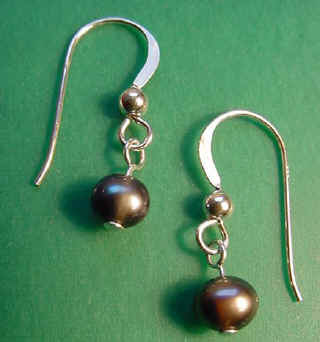 Also available...Swarovski™ crystals or Swarovski™ crystal pearls - lots of colors to choose from! You can match your bridesmaid's gown colors (we are happy to send you crystal samples at no charge for you to match to your gown colors). Each jewelry set is it's won unique creation - something special for your wedding day that we design together! Our freshwater pearl anklets have always been popular down through the years for brides to wear for good luck on their wedding day. This anklet was ordered by the sister of the bride - she wanted to give it to her sister as a wedding day gift. She requested the anklet be made in our station style...yes, we can do that - just Email us.